Interesting and very unusual colour contrast between the pale blue standards and the bluish-black velvety falls. Black-purple beards tipped yellow. 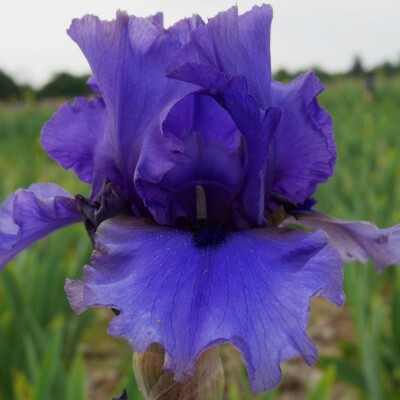 This very recent iris (introduced in the USA in 2004) has strong stalks and propagates very quickly.